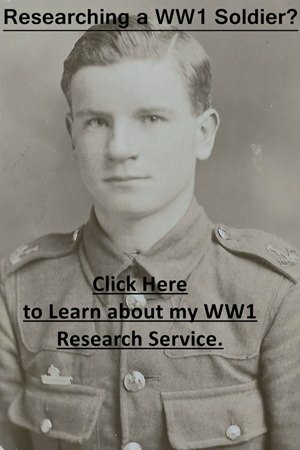 I also offer a First World War Soldier Research Service and provide a copying service for Indian Army Reserve of Officers applications. In August 1914, the Indian Army Reserve of Officers (IARO) stood at 47 men. By 1916, it had grown to 2,600 and when the Armistice was signed on 11 November 1918 it stood at 4,500. Applications for soldiers wishing to be appointed to the IARO are held at the British Library in London and can be viewed in their Asian and African Studies reading room. You will need a Reader’s Card to view the documents. The applications will either be loose in A4 files or bound into volumes. The applications are grouped together and there will usually be at least twenty officers in a single folder. However, all have page numbers allowing for quick reference. The series runs from IOR/L/MIL/9/552 to IOR/L/MIL/9/623. Each of these 71 catalogue references will contain a number of men recorded in the following way: Catalogue reference- page numbers – surname, forename, IARO, 1916-1918. Murray’s application will be the first one in the file and it runs from page 1 to 21. Murray’s file is a lot longer than most applications for an appointment in the Indian Army Reserve of Officers. To conduct your search, click on the link below, type in your officer’s full name, followed by the letters IARO and click the magnifying glass. This will bring up a list of results. If you do not get a result, search their surname only followed by IARO. What Information Will a File Contain? Correspondence between the applicant and the India Office. The files can contain the original letter asking for application papers. Correspondence between War Office and India Office. The date an officer sailed for India is usually recorded. Biographical information including place and date of birth, address, next-of-kin etc. Report of a Medical board. Previous military service – this can be very detailed if sent by the applicant. A typical entry (not detailed) would read ‘joined the ranks of 6th Battalion King’s Liverpool Regiment on 7 August 1914. Served overseas with this unit. Promoted corporal in 2nd line. Wounded 25 May 1915. After leaving hospital attached 3rd line until gazetted’. Where an officer was educated. Any special qualification for Indian service. The form below, or a variation, appears in most applications. I have written out the questions so you get a full idea of what information a file usually contains. Particulars of an Officer holding a commission in the British Army who desires to be considered for appointment on probation for a commission in the Indian Army Reserve of Officers. Name of candidate in full. Surname. Christian Names. Unit to which he belongs. Present rank, and date of first Commission. Service in the Army before date of first Commission. Name in full and position in life of father, and whether of English, Scotch, or Irish family. Name, relationship, and permanent address of next-of-kin. The Branch of the service (Cavalry or Infantry) in which desirous of serving. If more than once branch is stated they should be placed in order of preference. The unit (if any) to which desirous of being appointed. Any special qualifications for Indian service, such as knowledge of Hindustani or other Indian languages, family connections with India, &c.
Particulars of Field Service (if any). These questions are then followed by a candidate’s declaration regarding his health and a report of a medical board.